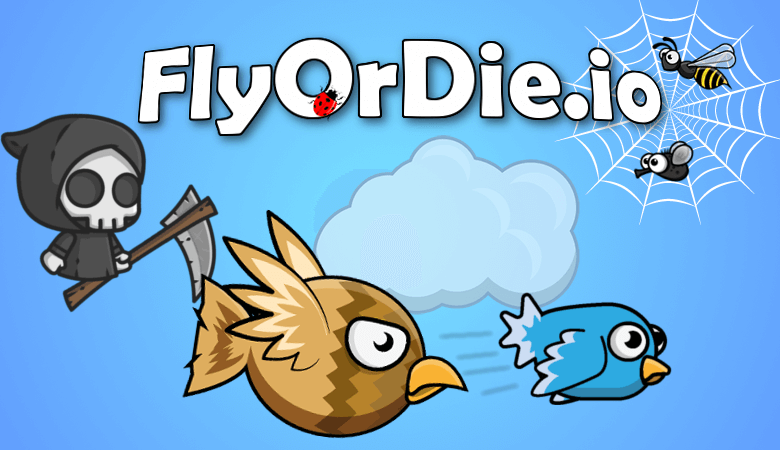 FlyOrDie.io | Play FlyOrDie.io free on iogames.space! Check out the new io game. Fly and eat or be eaten. Evolve to the strongest creature and show who rules here. Eat creatures with green border and avoid with red one. Do not forget to drink water. Try to attack others and eat food. Remember that you can hide yourself in clouds or bushes. Your health renews with eating food.